When floods again ripped through here in May, killing a Maryland National Guardsman, closing businesses up and down its historic district and producing images of destruction recalling the floods of 2016, a Syrian immigrant vowed to do anything he could to help a community that had become his own. ELLICOTT CITY, Md. 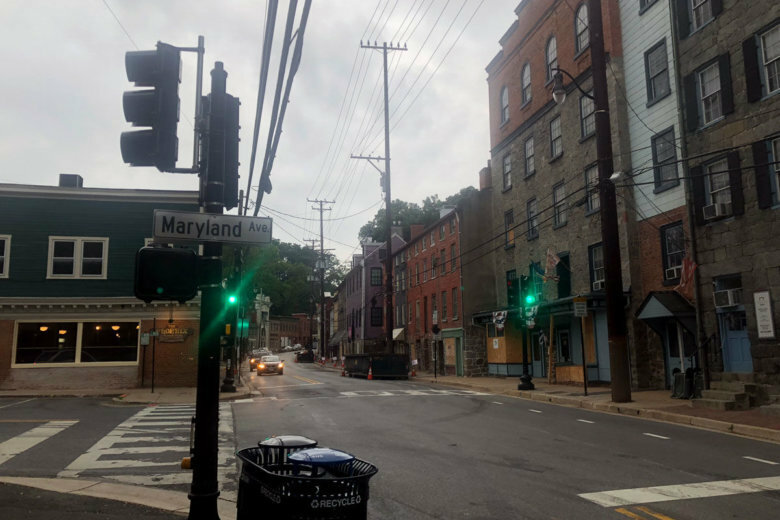 (AP) — The first time Majd AlGhatrif saw this historic mill town of colonial buildings at the confluence of the Patapsco and Tiber rivers, he thought of Syria. “When the first flood happened, there was a lot of stamina, but after the second one, there was,” he said, trailing off. “It was really difficult. He knew that the community meant a lot not just to him, but also to other Syrian immigrants and refugees. His cafe employed several who, after years of fear during the Syrian war, had come teel safe in Ellicott City. “If we stay here, they will kill us,” she recalled the conversations of that time, so they fled to Turkey and then, through a refugee agency, came to Maryland. She had heard of President Trump’s call as a candidate to ban Muslims from entering the country and had arrived expecting to face Islamaphobia.